Plant tissues. Annular collenchyma. 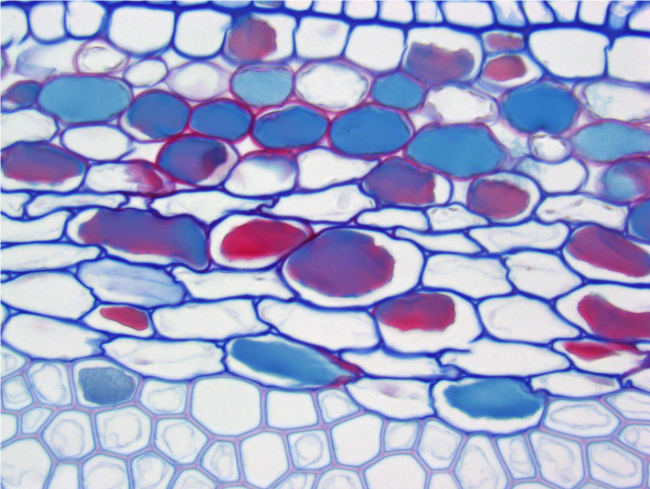 Atlas of plant and animal tissues. Technique: paraffin embedding, section stained with Alcian blue / safranin. This is the only type of collenchyma where the thickenings of the cell walls are uniform around the cell. It contains empty intercellular spaces.